See the beautiful Feature Gardens before the crowds! Canada Blooms enthusiasts know that Morning Garden Tours are the best way to start off your visit to the festival. Discover the “inside secrets” of how those magnificent gardens are put together. Tours begin at 8:15 am, giving you time to enjoy each garden at your leisure before the festival opens. 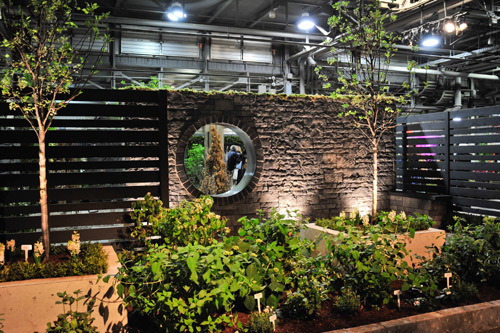 Tours are led by Master Gardeners and horticultural specialists and tickets are available for only $40 which includes all day admission to the festival as well as the National Home Show. A limited number of tickets are available for Friday, Saturday, Wednesday, Thursday, Friday and Saturday. Please note tickets must be purchased in advance. This special evening garden tour includes a tour provided by a knowledgeable Master Gardener, a copy of Mark & Ben Cullen’s ‘Escape To Reality’ book ($25 value) and an opportunity to meet the author(s) to have your book personally signed. And parking after 4pm is FREE. Tickets are $55 and must be purchased in advance.